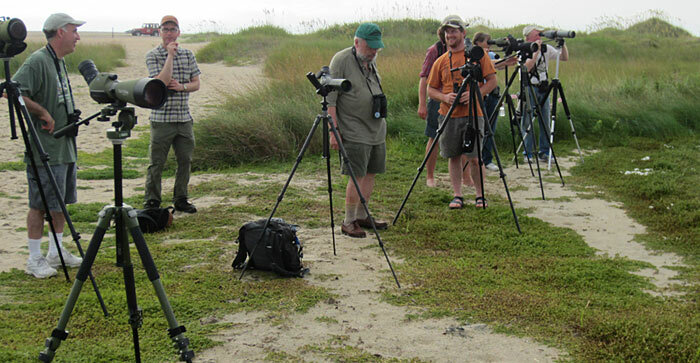 On August 9-13 the Pennsylvania Society for Ornithology had an out-of-state field trip to the Outer Banks in North Carolina. A total of 35 participants ventured down to NC for several days of land birding followed by two days of pelagic trips out of Hatteras, NC. This series of posts will show some of the highlights of this epic trip! We will first start with the land birding. Friday through Sunday the group birded from Bodie Island down to Hatteras. The early part of the time on Friday afternoon and Saturday we spent a lot of time up near Pea Island NWR. 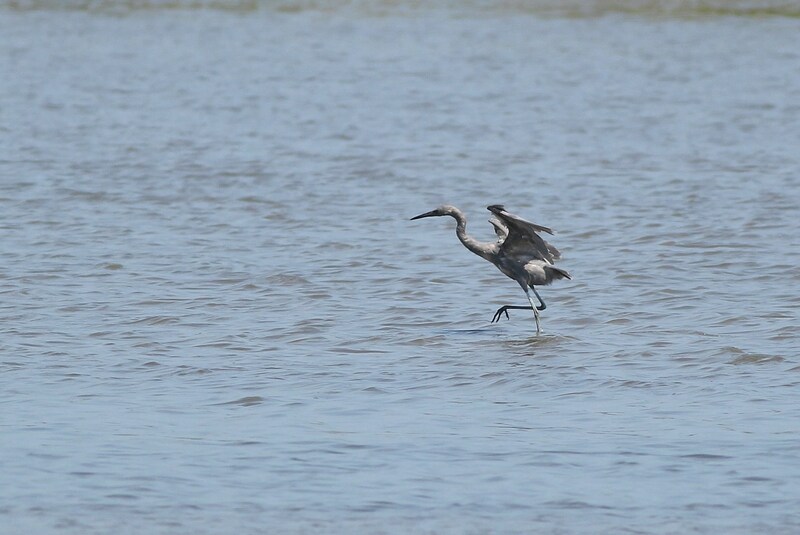 Birding in late summer was fairly good on the NWR, with decent numbers of shorebirds, terns, and herons around. Several highlights included two Reddish Egrets at the Pea Island Visitors Center, Blue Grosbeak at Bodie Island, Gull-billed Tern and many shorebirds at the Salt Flats. On Sunday we started the day down on Cape Hatteras Island near the lighthouse. Although the day started slow, things quickly picked up near the Salt Pond. 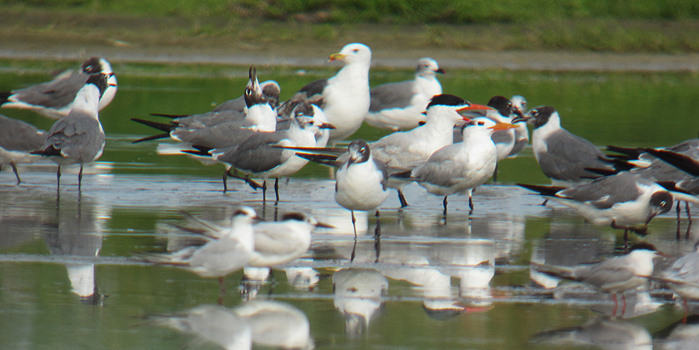 Good groups of terns, herons, and shorebirds were around and gave everyone plenty to look at. It was nice for many people in the group to get good looks at species they rarely, if ever, get to see in PA. 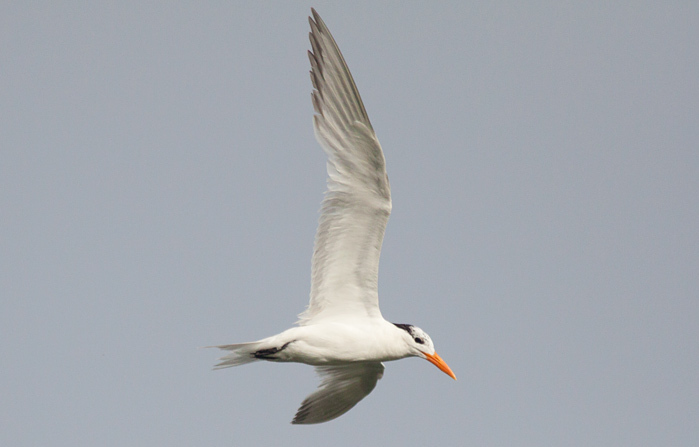 The numerous Royal Terns alongside Caspian gave everyone nice comparative views. 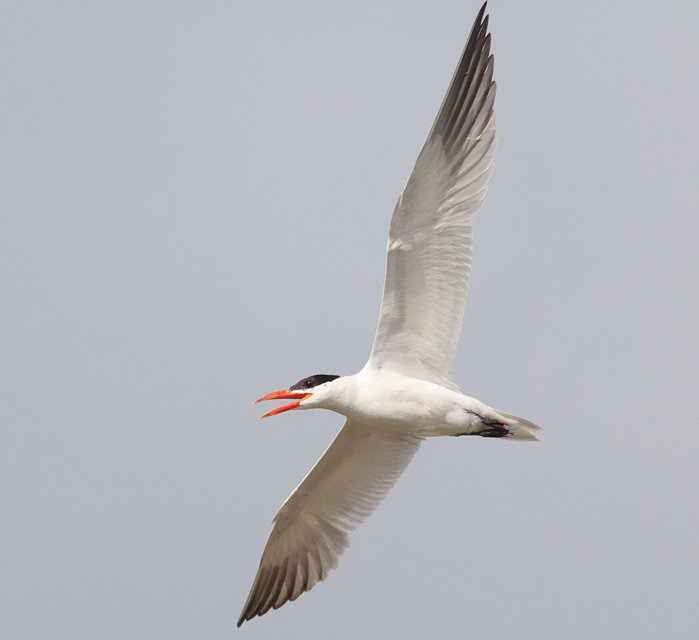 One definite highlight was the groups of terns flying all around us at the Salt Pond, 7 species total. 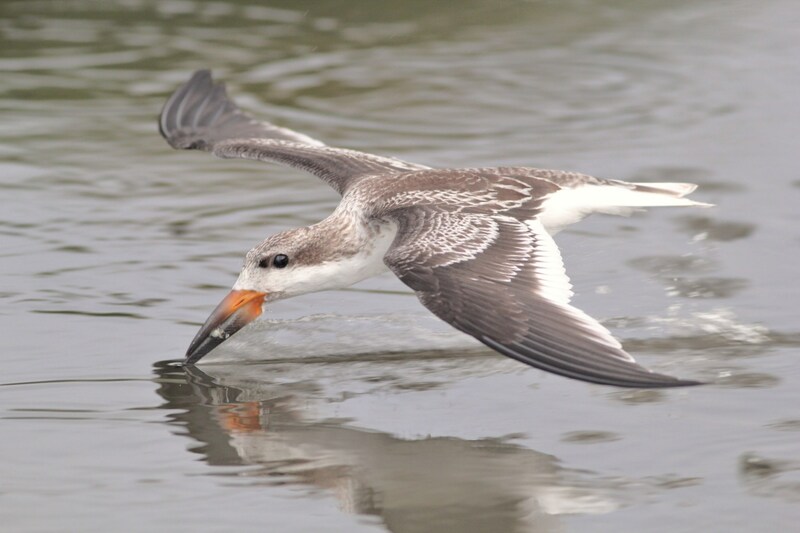 This adult and juvenile Black Skimmer (below) seemed oblivious to our presence. The adult bird seemed to be showing the juvenile bird how to skim. These two made countless very close passes to the group, at times only several meters in front of us!! Quite amazing looks! 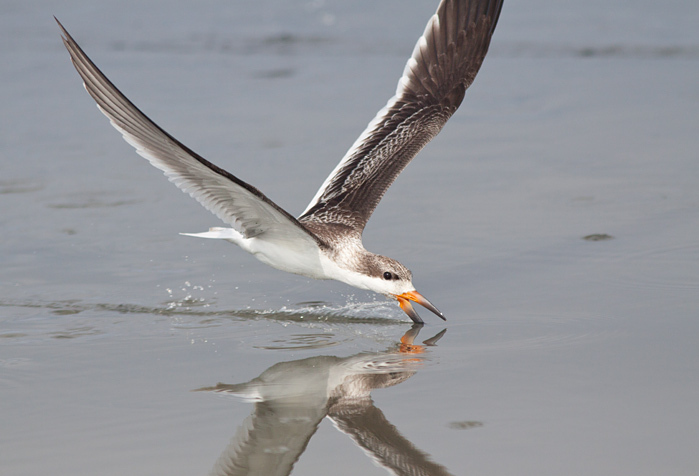 Be sure to watch the slow-motion skimmer action in the video below. Black Skimmer putting a show on for the group, it was just several meters in front of the group passing back and forth showing a juv. skimmer how to skim! Juv. 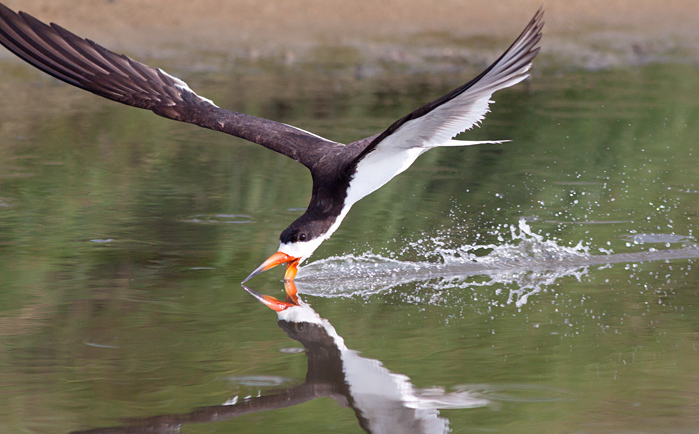 Black Skimmer that was skimming with an adult several meters in front of the group! PSO Group looking at herons, shorebirds and many large Cottonmouths!! Wall Cloud approaching one of the houses we were staying at in Salvo. 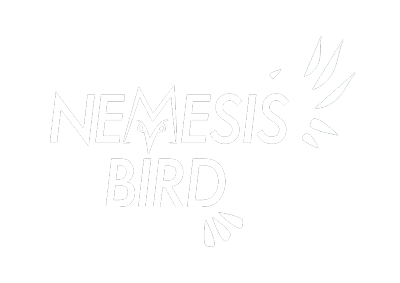 The roof deck was a great vantage point to birdwatch from! 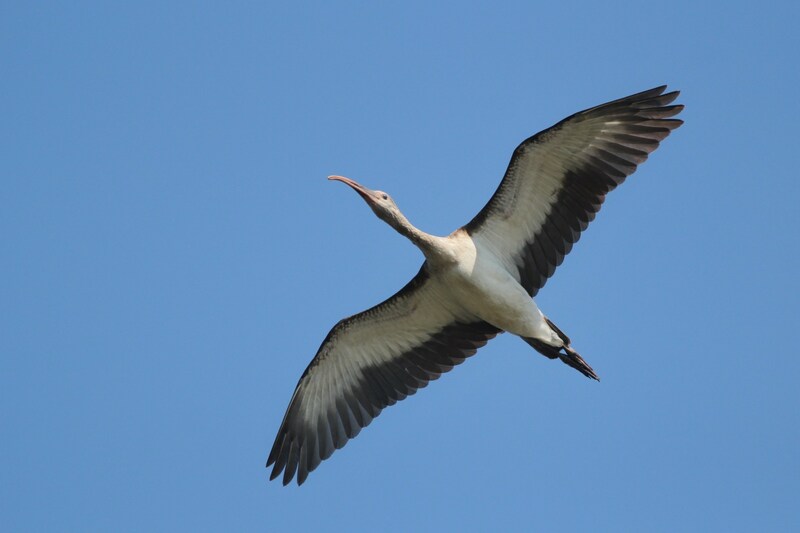 Andy McGann also put together the following video from this days birding.